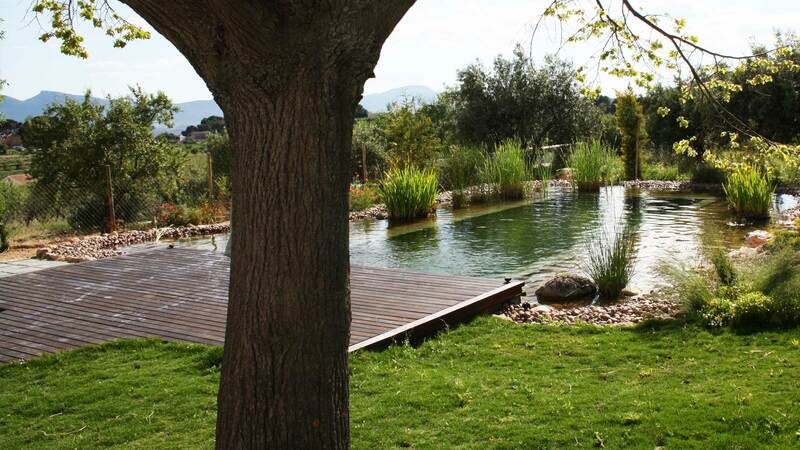 In a protected area designs must adapt themselves to the surroundings which means that building a conventional swimming pool is not the best choice. 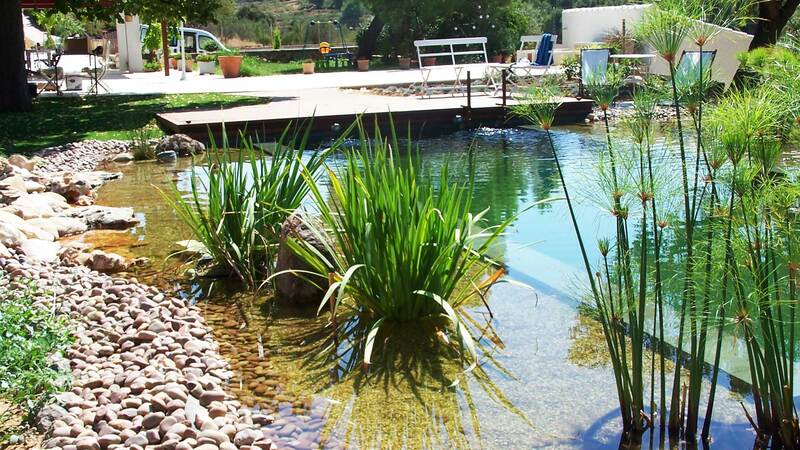 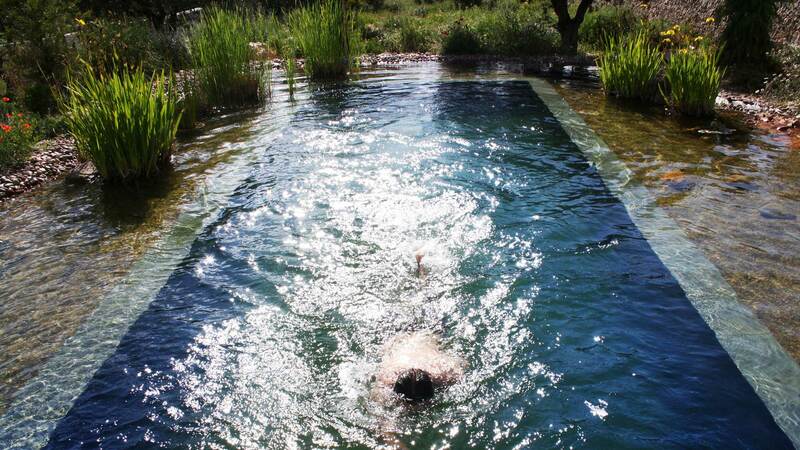 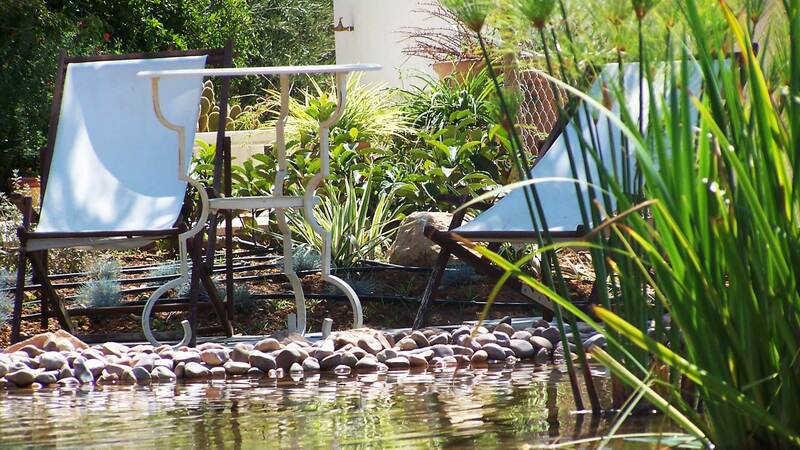 Naturalised, or pond, swimming pools adapt perfectly. 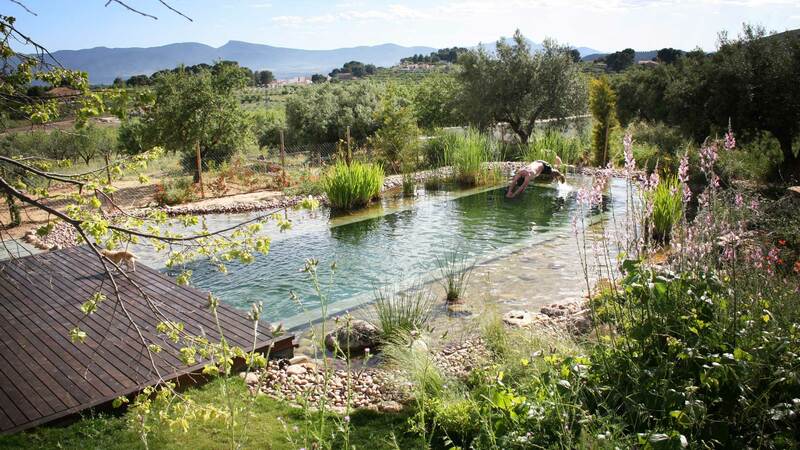 Apart from being yet another decorative element in the garden, when not being used for bathing, they are a new concept where we seek to create a sensation that is similar to swimming in a river by replicating captivating surroundings. 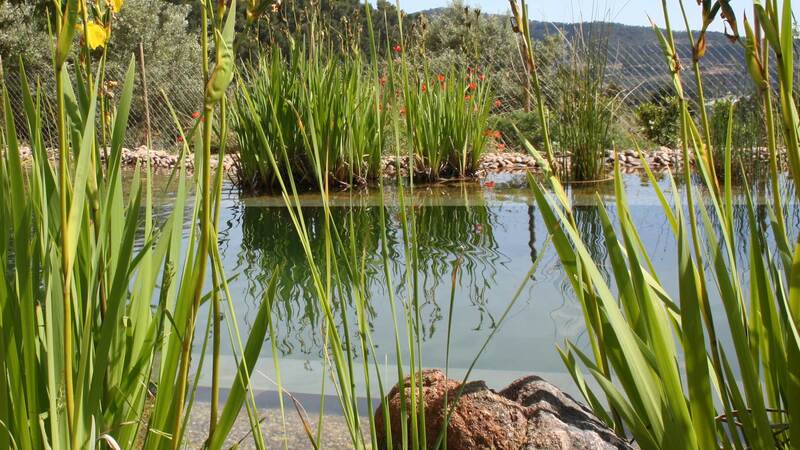 To do this, the initial design must be very carefully planned, with a biodegradable water treatment process developed by our company which is compatible with the natural world and ensures perfect water quality all year round. 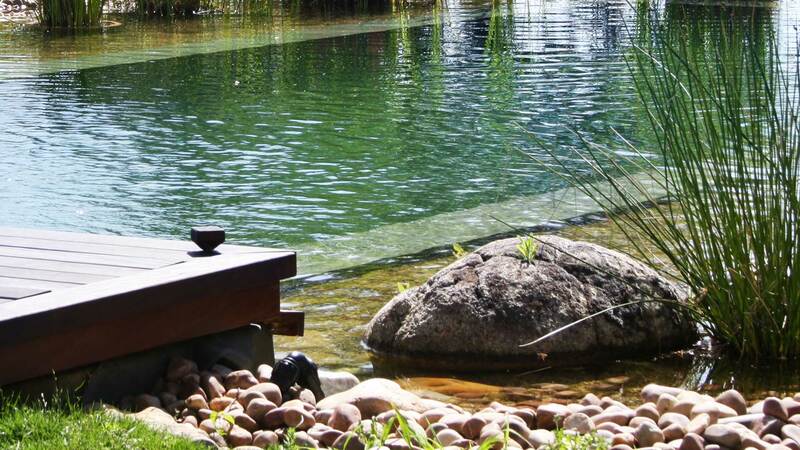 This is a classic design, but more contemporary, or minimalist, designs can be created depending on the style of the house.